Defelice, James V.. "Dan Aykroyd". The Canadian Encyclopedia, 04 December 2018, Historica Canada. https://www.thecanadianencyclopedia.ca/en/article/dan-aykroyd. Accessed 25 April 2019. Daniel Edward Aykroyd, CM, OOnt, comedian, actor, screenwriter, musician, entrepreneur (born 1 July 1952 in Ottawa, ON). Dan Aykroyd is a comedian, writer and actor best known for his four seasons on Saturday Night Live (SNL) and for such hit comedies as The Blues Brothers (1980) and Ghostbusters (1984), both of which he cowrote. He won an Emmy Award for his writing on SNL and received an Oscar nomination for his supporting performance in Driving Miss Daisy (1989). He has also enjoyed considerable success as an entrepreneur, particularly in wine and spirits. He is a Member of the Order of Canada and Order of Ontario and has a star on Canada’s Walk of Fame. Dan Aykroyd promoting his wine in New Hampshire in February 2009. Dan Aykroyd was born on Canada Day and comes from a family of notable Canadian lineage. His ancestor Samuel Aykroyd arrived in Canada in the early 1800s and eventually settled near Kingston, Ontario, where he ran a successful slaughterhouse. Dan’s great-grandfather was one of Kingston’s first dentists, and his grandfather was a member of the Royal Canadian Mounted Police (RCMP). Dan’s father, Peter H. Aykroyd, was a civil engineer	who served as a policy adviser to Prime Minister Pierre Trudeau. He was also the director of publicity and promotions for the 1967 Centennial Commission and was responsible for commissioning Bobby Gimby’s “ Ca-na-da” song and Stuart Ash’s famous centennial logo	(see also: Expo 67; Canada’s Centennial Celebrations). Dan Aykroyd grew up in Ottawa and Hull with his father, his French Canadian mother, Lorraine (née Gougeon) and his younger brother, Peter. The family spent their summers at the ancestral Aykroyd farm on Loughborough Lake just north of Kingston. Aykroyd seemed destined for the stage even as his Catholic	upbringing prepared him for the priesthood. He began taking acting lessons at the Ottawa Little Theatre at age 12. (See also Little Theatre Movement.) His interest in acting continued during his high school years at St. Pius X and St. Patrick. He then studied sociology and criminology	at Carleton University and planned to go into law enforcement. However, he was also active as a blues musician and with student theatre groups. He left university without graduating to pursue comedy	in Toronto. He worked for Canada Post to support his passion and landed his first professional comedy gig at age 19, working with Lorne Michaels	and Hart Pomerantz on CBC TV’s The Hart & Lorne Terrific Hour (1970–71). When Chicago’s Second City comedy troupe launched a Toronto company, Aykroyd immediately auditioned. 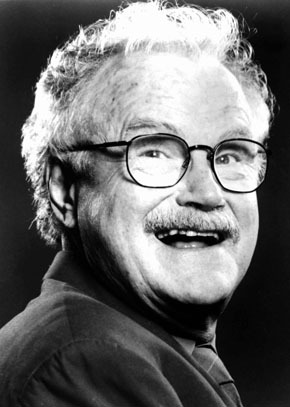 He became a member of Second City’s inaugural Toronto cast in 1973, alongside such talents as Brian Doyle-Murray, Jayne Eastwood	and Gilda Radner. Aykroyd then moved to Second City’s Chicago company in an exchange program. It was there that he met John Belushi, who became a close friend and a significant artistic collaborator. In 1975, Aykroyd was hired by Lorne Michaels to work as a writer on an edgy new late-night comedy show broadcast live from New York City. By the time Saturday Night Live	(SNL) premiered, Aykroyd was a member of the cast of the “Not Ready for Prime Time Players.” From 1975 to 1979, he gained major television exposure playing a variety of characters he created. He stood out from his castmates by having a mania and energy that few comics could match and became known for his hilariously over-the-top takes on personalities such as Richard Nixon, Jimmy Carter and Julia Child. Aykroyd created numerous original characters as a writer and performer, including Beldar Conehead (an alien with an oversized cranium) and Elwood Blues of his duo with John Belushi, The Blues Brothers. The Blues Brothers became an even greater pop culture phenomenon with the highly successful film version, The Blues Brothers (1980). The first feature adapted from SNL characters, the film grossed more than $115 million worldwide and became a cult classic. Critics and audiences embraced the film’s irreverent humour and energy, and it made Aykroyd and Belushi a screen team on par with Abbott and Costello. The duo subsequently released the albums Made in America (1980) and The Best of the Blues Brothers (1981) before Belushi’s death from a drug overdose in 1982. Aykroyd reprised the character in Blues Brothers 2000 (1998) and co-wrote the screenplays for both films. The Blues Brothers was the first in a string of hit comedies Aykroyd starred in during the 1980s. He reteamed with Blues Brothers director John Landis and SNL star Eddie Murphy for the hit comedy Trading Places (1983) and then enjoyed the biggest hit of his career with the sci-fi comedy Ghostbusters (1984), directed by Ivan Reitman. Aykroyd, who co-wrote the film with Harold Ramis, drew on a fascination with paranormal activity he has had since his youth. Aykroyd claims to have witnessed ghosts in his homes since childhood and credits paranormal researcher Hans Holzer as the inspiration for the film. Starring Aykroyd, alongside Ramis, Bill Murray and Ernie Hudson as a team of parapsychology professors who exterminate ghosts in New York City, Ghostsbusters became the biggest-grossing comedy up to that time. It grossed nearly $300 million worldwide and earned two Oscar nominations. In 2000, the American Film Institute ranked Ghostbusters No. 28 on its list of the Top 100 comedies of all time. The movie also spawned the successful, if disappointing sequel Ghostbusters II (1989), in which Aykroyd reprised his roles as writer and star. Aykroyd’s other hits of the 1980s include Landis’s Spies Like Us (1985), co-written by Aykroyd and co-starring Chevy Chase; Dragnet (1987), co-written by Aykroyd and co-starring Tom Hanks and Christopher Plummer; and The Great Outdoors (1988), written by John Hughes and co-starring John Candy and Annette Bening. 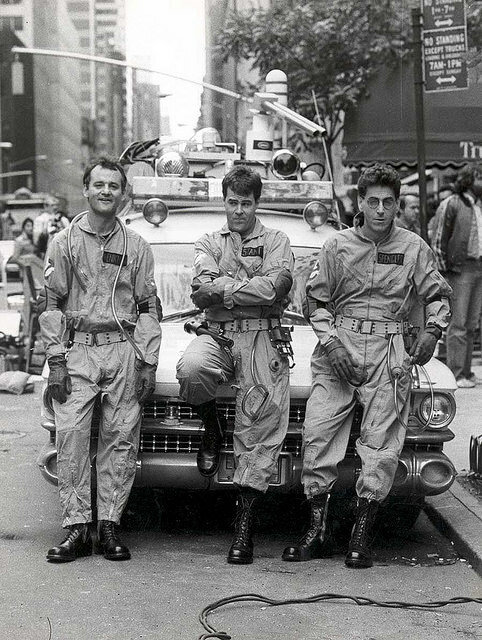 (Left to right) Bill Murray, Dan Aykroyd and Harold Ramis shooting Ghostbusters in New York City in 1983. Aykroyd demonstrated his range and versatility opposite Jessica Tandy and Morgan Freeman in the comedy-drama Driving Miss Daisy (1989). Although some critics were initially skeptical of Aykroyd’s casting in the adaptation of the Pulitzer Prize-winning play, Driving Miss Daisy earned him an Academy Award nomination for Best Supporting Actor and won four Oscars, including Best Picture. Aykroyd’s additional film credits in this period include Steven Spielberg's 1941 (1979) and Indiana Jones and the Temple of Doom (1984), Neighbors (1981), Twilight Zone: The Movie (1983), Caddyshack II (1988), My Girl (1991), Sneakers (1992), Coneheads (1993) (based on his SNL character), Grosse Pointe Blank (1997) and Antz (1998). He also played Canadian film pioneer Mack Sennett	in Richard Attenborough’s Charlie Chaplin biopic, Chaplin (1992). Aykroyd had a prolonged slump in the 1990s and early 2000s with such flops as Exit to Eden (1994), Getting Away with Murder (1996), Christmas with the Kranks (2004), White Coats (2004), and his films with Adam Sandler, 50 First Dates (2004) and I Now Pronounce You Chuck and Larry (2007). However, his later career includes a diverse resume of comedies and dramas. He appeared in Diamonds (1999) with Kirk Douglas and Lauren Bacall; Stardom	(2000), directed by Denys Arcand; the period film The House of Mirth (2000), directed by Terence Davies; The Curse of the Jade Scorpion (2001), directed by Woody Allen; Michael Bay’s Second World War epic Pearl Harbor (2001); Bright Young Things (2003), Stephen Fry's adaptation of Evelyn Waugh’s novel Vile Bodies; Stephen Soderbergh’s HBO movie Behind the Candelabra (2013); and as James Brown’s manager Ben Bart in the biopic Get on Up (2014). Aykroyd made his directorial debut with the comedy Nothing But Trouble (1991), which he co-wrote with his brother Peter. Starring John Candy, Chevy Chase, Demi Moore and Dan Aykroyd (covered in old-age makeup), the movie was a critical and box-office bomb. It made many worst-of-the-year lists and landed Aykroyd a Razzie Award for Worst Supporting Actor. It remains his only film as a director. 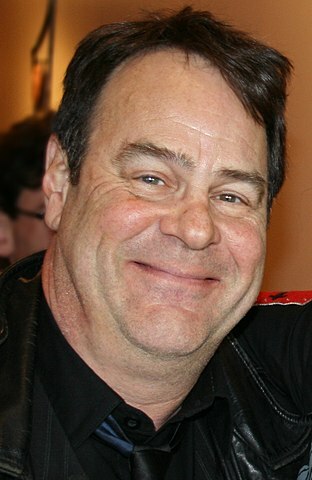 In addition to his four seasons on SNL (1975–79), Aykroyd has made many other appearances on television over the years. He hosted the first annual MTV Video Music Awards (1984) and performed as Elwood Blues at the 1997 Super Bowl halftime show. 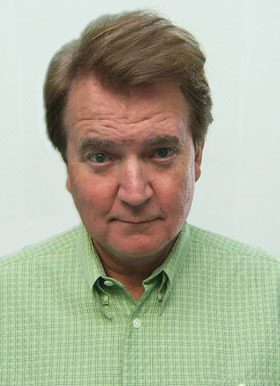 He starred as Crawford Gordon, the president of A.V. Roe Canada Ltd., in the CBC	miniseries The Arrow (1997), about the creation of the Avro Arrow. He also appeared in the Heritage Minute	on the topic. 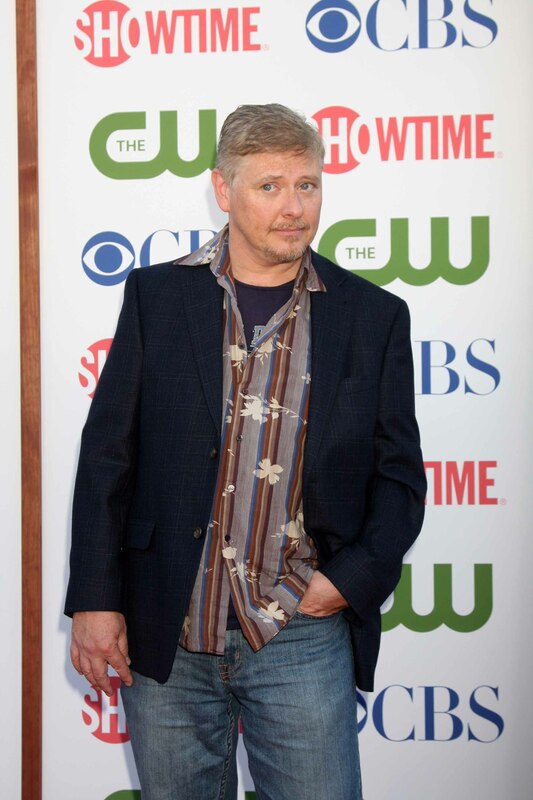 He hosted the syndicated sci-fi mystery series PSI Factor: Chronicles of the Paranormal (1996–2000), produced by his brother Peter, and starred as a widowed Episcopal priest raising his four children in the ABC sitcom Soul Man (1997–98). He had recurring roles in the Jim Belushi sitcom According to Jim (2002–09) and the CBC sitcom Workin’ Moms (2017–18). He also narrated the History Channel doc series Dino Hunt Canada (2015) and the Australian doc series Defend, Conserve, Protect (2019), about environmental activist Paul Watson. In addition to his work in film and television, Dan Aykroyd has also enjoyed considerable success as an entrepreneur. He has owned numerous bars and restaurants, including locations in Toronto	and Kingston that house much of his personal memorabilia. In 1992, he co-founded House of Blues with John Belushi’s widow Judy Belushi and Isaac Tigrett, founder of Hard Rock Café. The concert venue, restaurant and nightclub draw on Aykroyd’s Blues Brothers persona and his love of Southern music. House of Blues evolved into a successful franchise with Aykroyd occasionally performing at his own venues. He also hosted the syndicated radio program House of Blues Radio Hour in character as Elwood Blues. Aykroyd has also been successful in the wine and spirits business. In 2005, he acquired the Canadian rights to the premium tequila Patrón. In 2007, he invested $1 million in Diamond Estates Wines and Spirits Ltd. of Toronto, which also acts as the import agent for Patrón. Releasing his eponymous wines from the Niagara region, Aykroyd made an impressive venture with his Signature Reserve wines. His Vidal Signature Reserve Icewine received the 2008 Ontario Wine Awards gold award for Vidal Icewine of the Year, while his Cabernet Merlot and Cabernet Sauvignon won silver and bronze medals, respectively, at the 2015 National Wine Awards of Canada. Aykroyd is also the co-founder of the multi-award-winning spirit Crystal Head Vodka, which was temporarily banned from Ontario liquor stores due to its provocative skull-shaped bottle. Dan Aykroyd has donated his talents and celebrity to several causes. He often performs for charitable events such as a revival concert in which Elwood and Zee Blues (Jim Belushi) raised funds for Hillels of Georgia, a multicampus culture and lifestyle student organization; the 2005 benefit concert Water Aid for families in the Kingston area; and several efforts to support cancer research such as Stand Up to Cancer. He has also sponsored numerous events and organizations through his wineries, including the Ottawa Little Theatre and Toronto Blues Society. Aykroyd was born with syndactylism, a birth defect resulting in webbed toes, and with heterochromia iridum, resulting in one blue eye and one green eye. He was diagnosed with Tourette’s syndrome at age 12 and Asperger syndrome in the early 1980s, after his wife encouraged him to see a specialist. He attributes his lifelong fixation with ghosts and law enforcement to the obsessive side of autism. After a short engagement to Star Wars actor Carrie Fisher, Aykroyd married actor Donna Dixon in 1983. The couple, who met on the set of Doctor Detroit (1983), remain married and have three daughters.